To be truly successful, large carnivore conservation needs local acceptance. You can help achieve this by sharing the burden of living alongside predators with rural communities by making a donation to the White Dog Fund. All donations over 10 GBP/EUR will receive a White Dog certificate to show that you are supporting the Fund, so make your donation today! 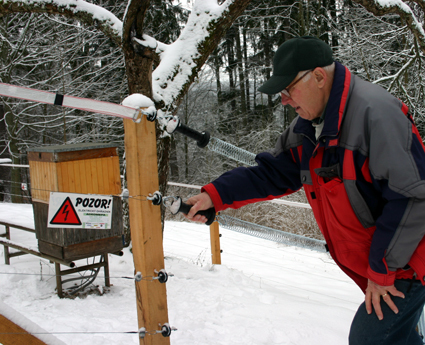 With financial support from the Wolves and Humans Foundation, the Slovak Wildlife Society recently helped a sheep farmer who was losing several sheep every year to both wolves and bears, and two bee-keepers who had suffered damage to their beehives by bears, by quickly providing and installing electric fencing to prevent further loss or damage. 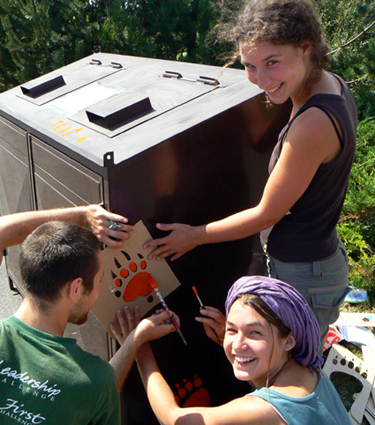 By doing this, we were able to demonstrate that people in rural communities can turn to conservation organisations for help and receive practical assistance, providing an alternative to complaining that there are too many wolves or bears and that numbers need to be controlled, which generates negative publicity in the local and national media. This action also shows the importance of having a local contact – in this case Slovak Wildlife Society biologist Robin Rigg – in the community so that relationships can be built with local people and they know who to ask for help and advice, rather than having to try and navigate their way through remote and faceless government departments or international conservation organisations. This also means that preventive measures can be installed correctly on site, training in correct use provided and monitoring carried out. The White Dog Fund aims to build on this work by providing people in rural areas who shoulder the real cost of co-existing with wolves, brown bears and lynx with prompt and practical assistance to resolve conflicts; a positive alternative to killing predators. The Fund gives everyone, whether you live in a city or in the countryside, the opportunity to share responsibility for conservation of these species by supporting the people most affected by their presence. The name White Dog comes from an old Slovak folk tale about a livestock guarding dog named Bodrík. 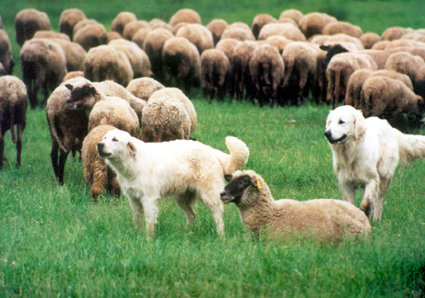 Many traditional livestock guarding dog breeds, including the Slovenský cuvac from Slovakia, are white, possibly so that they blend in with sheep better and are more easily distinguished from predators by both sheep and shepherd, so the white dog seems an appropriate symbol for our aims. - To reduce conflicts between large carnivores and people. - To prevent large carnivores being unnecessarily killed. - To increase tolerance for large carnivores among rural populations. 1. A livestock or property owner who has suffered damage or is worried about damage contacts or is referred to SWS. 2. An SWS representative visits the site to carry out an assessment and make recommendations for protective measures if appropriate. 3. 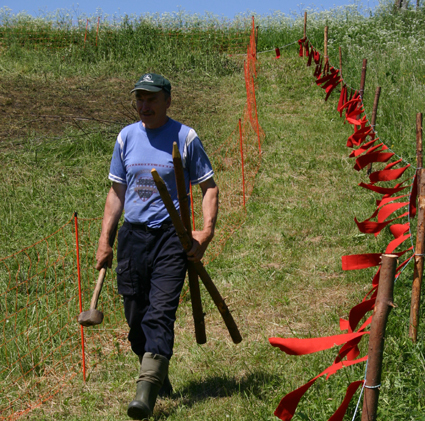 Protective measures are implemented and training provided by SWS fieldworkers and volunteers, and paid for by the Fund. 4. Monitoring is carried out and if both sides are satisfied with the results after a trial period, then the livestock or property owner will be offered the chance to buy the materials at 50% of cost, and the revenue will be returned to the Fund. © 2000-2018 SWS - Slovak Wildlife Society. All rights reserved. Design: M. Kacian, A. & R. Rigg.